The Mountain View Centre in Hinton will soon deliver public care and services for seniors after being purchased by Alberta Health Services (AHS). 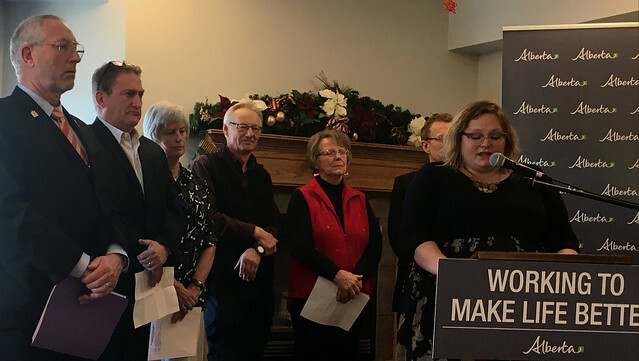 Minister Hoffman announces plans to stabilize and strengthen services for residents at the Mountain View Centre in Hinton. The Mountain View Centre has 37 supportive living suites and a 15-space dementia care cottage, designed to create a home-like setting for residents with dementia. The facility was previously run by the Good Samaritan Society, but will now be operated by AHS. There will be no layoffs as a result of the sale and staffing levels at the facility will remain the same. AHS staff will take over nursing support, personal care and recreational and social programming, in addition to the case management they already provide. AHS will work to identify the community’s needs for long-term care spaces at the facility and will develop a plan to address those needs. AHS is expected to take full ownership of the site by March 31, 2018.